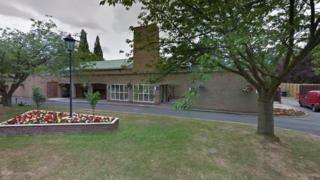 A crematorium could close for more than three months if upgrade work does not go ahead, a council report has warned. Two cremators in York need to be replaced costing £500,000 and £250,000 would go towards a better waiting room, under budget plans. The report said failing to deal with issues at the crematorium could have "catastrophic consequences". Funeral directors in the city said the upgrades were needed and a closure would be a "nightmare". The warning to councillors comes after almost £2m was spent on the site in 2012. The report says: "There have been ongoing issues with the existing cremators which were so serious that at the end of 2017, the crematorium closed for 10 days." "Many of the problems remain unresolved despite working with the provider to try and resolve them," it added. "There is a real risk that the facility may be lost for a longer period of time possibly in excess of three months which could have catastrophic consequences for the city." York funeral director Hayley Owen said the upgrades would be "good for mourners and for the people who work at the crematorium", according to the Local Democracy Reporting Service. She said: "It would be a 'nightmare' if the crematorium had to close for as long as three months. "Families want their loved ones to be cremated in York if that is where they have always lived." In December 2017 some bereaved families had to travel as far away as Hull, Bradford or Middlesbrough for funerals following "significant maintenance issues" at York Crematorium. Pauline Stuchfield, assistant director for customer services at the council, said: "We have been closely monitoring the situation and are aware of potential risks which, whilst not affecting services currently, need to be resolved on a permanent basis."